- A metric ton of bugfixes! - A bunch of quest fixes! - If you were having problems, you probably won't anymore! - Identical to v1.0.7, with update to Google Licensing so that it won't fail anymore for some people. - Never again wonder where Nitro is! - Scary-huge Glutterflies more common! - Game can now retrieve included campaign file, so no more Campaign loading errors! - Bunch of other stuff, including UI position and scaling options. Salvaging will no longer cause your equipment slots to rearrange and be weird. General small optimizations with texture pages. -The compendium no longer crashes when you are looking at the data page. -Fixed a weird flashy flash thing that would sometimes happen when fighting enemies while at low health. - Updated BscotchID to the latest version. - Removed Billing permission, as the game does not have in-app purchases. - JUICEMANCY! A whole bunch of new game systems, bug fixes, updates, and improvements. - CONTROLLER SUPPORT! 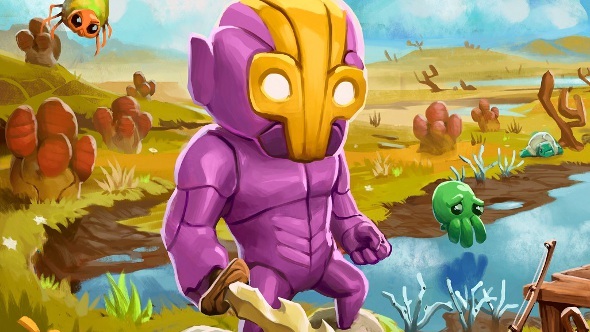 Now you can squint at your tiny phone while you play Crashlands from 15 feet away!